This Thanksgiving season, we should give thanks to the indigenous American people. Specifically, the Federated Indians of Graton Rancheria. 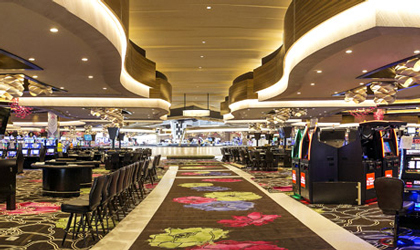 Because they’ve just opened Graton Casino, a peerlessly grand gaming resort (by Bay terms) with four casual gourmet restaurants on-site and all the gambling your accountant will allow — not that you’ll find a bean’s worth of restraint in this opulent playground. 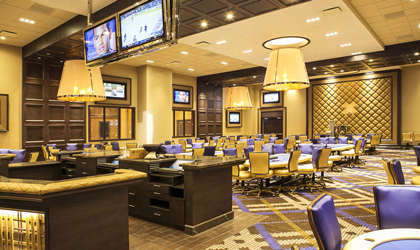 With its eighteen-table poker room and nearly 80 blackjack tables (not to mention some crazy game of interlinked, progressive Hold ‘Em), they’ve got cards (and private salons) in spades. But man can’t live on dopamine alone. Luckily some of SF’s most beloved restaurateurs braved the 40-minute drive to set up shop — guys like Martin “noodle-stretching” Yan of M.Y. China and Tony Gemignani of Tony’s Pizza Napoletana and Capo’s. And there are drinks, of course. Skip past the bus-tour crowd to high-rollers lounge “8” for a quiet, be-cocktailed reprieve from the flashing lights. Just don’t forget your jacket and button-down. And don’t forget to color up.